On this episode, Zac and Ben are joined by good friend McMahon from Star Wars Wastelands to break down season one of the hit Marvel Netflix series Jessica Jones. 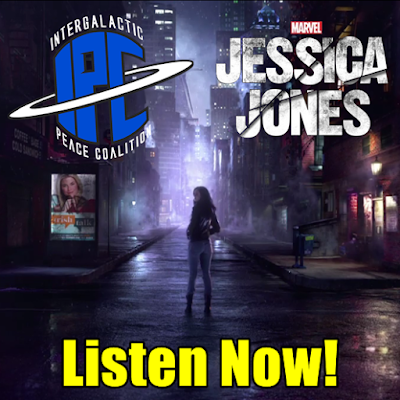 In preparation for their impending Defenders discussion, the guys dive into various aspects of Jessica Jones, including its intriguing plot, its standout characters, and the various thrills and surprises is presented. They also discuss the psychology of the David Tennant's Kilgrave and how the lovable 10th Doctor became one of the MCU's greatest villains. Later, they round off the show with a Quote of the Night duology and a #BBQWatch recipe from a Galaxy far, far away. All this and much more!